What is the DataTools program? Learn how to import web-based data into Excel in order to analyze the relationship between variables. DataTools is a professional development program that prepares you to use scientific data and data analysis software with your middle and high school students (grades 6-12). It also helps you develop strategies that promote student inquiry, analysis, and dialogue, processes that are key to working with data. The DataTools program is a joint project of TERC (Cambridge, MA) and CUSP at UMass Dartmouth and Fairhaven. The program accommodates approximately 33 teachers. The community of participants and program staff will work closely together in occasional face-to-face meetings, a two-week summer workshop, and in distance learning sessions throughout the 12-month program. with Internet connectivity for both students and personal use. What will I do in the program? Participate in an extensive (120 hours) professional development program with a team of experienced leaders and approximately 32 peers. 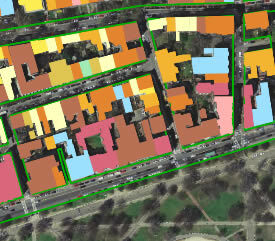 Learn to use GIS to analyze spatial data. DataTools is supported by the National Science Foundation and offered by TERC, a nonprofit education research and development organization based in Cambridge, Massachusetts, in partnership with CUSP, part of UMass Dartmouth's Division of Professional and Continuing Education.